Hello Refashion Co-op. It is Halloween here and that means costumes and candy. I am not that into costumes so I tried to make a fun but subdued shirt to wear for the day. I was inspired by something I saw on Pinterest. 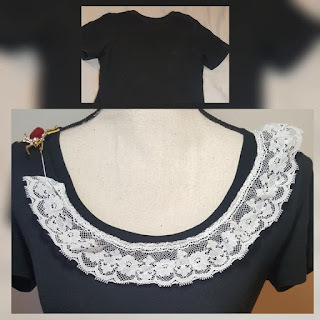 I started with a plain black t-shirt. 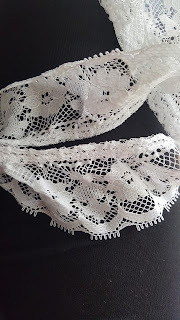 I found a scrap of lace for the neckline, it was just cheap polyester, but it worked well here. 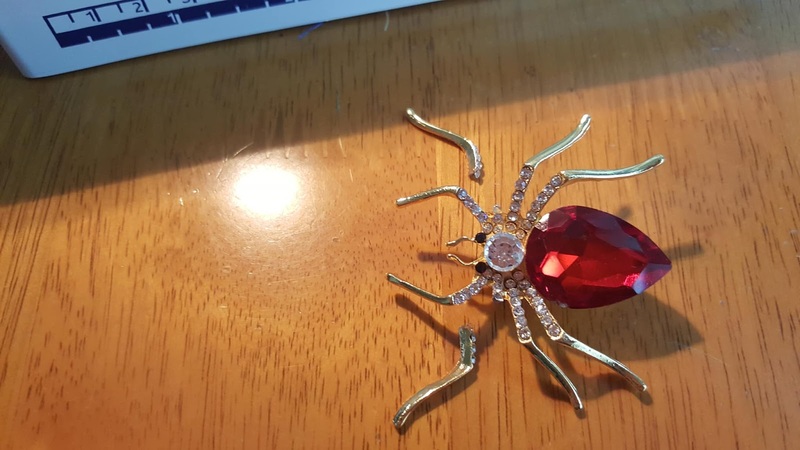 I had this spider pin in a drawer or quite a while. You can see he didn't do very well in that drawer. He lost a couple legs. I thought he still looked like a spider and used him in his broken state. Here is a closer shot of the shoulder with the spider. 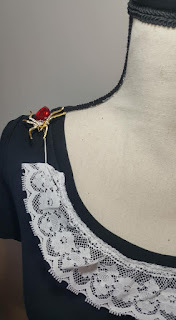 I attached a small piece of embroidery thread so it looked like the spider was still spinning the web. 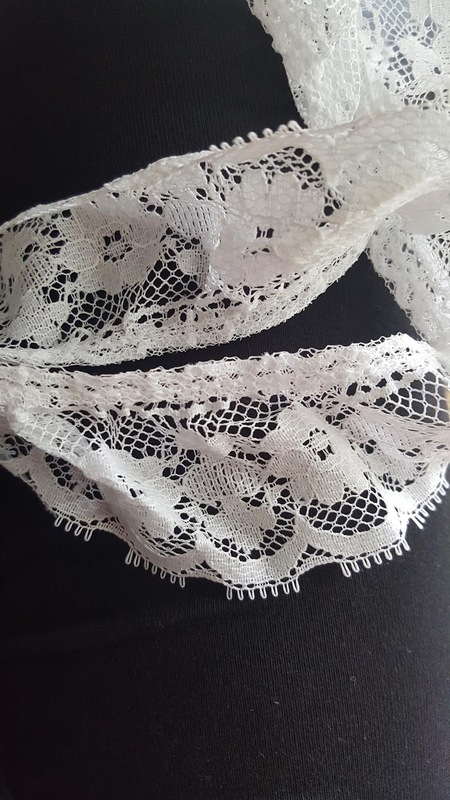 I can take the pin off when it is time to wash the shirt. I like the spider up on my shoulder too. Maybe helpful hint: try to store 'spiders and the like' upside down on some sort of bottle cap/top. This way sensitive legs are more secure (since in the air). Btw. : bottle caps/tops work just as nicely as egg cups! I love the subtle playfulness of this project, Chickie! And I love when a project comes together quickly. Thank you for sharing! Thanks for the comment ladies. You were right g. I should have stored the spider more carefully. I can be messy in the sewing room. Hi 5, Chickie; 'very'/plenty' of it as you can figure out via my comment ! Oh No this is too cute!